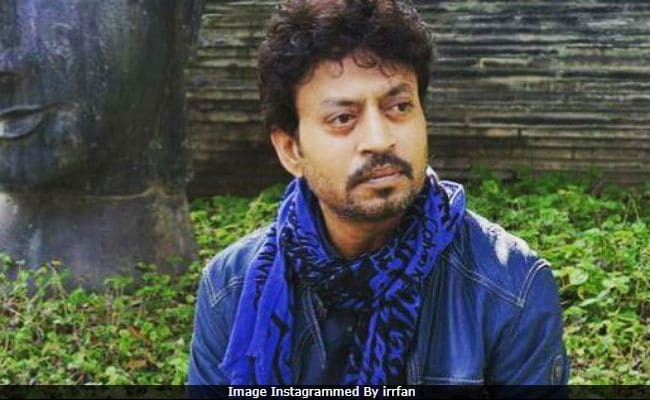 Actor Irrfan Khan, who was undergoing medical treatment for neuroendocrine tumour in London, has returned to India, news agency IANS reports. He flew to London in March last year, after which, he tweeted that he's been diagnosed with a rare form of cancer. Recently, several unconfirmed reports also stated that once back in India, Irrfan Khan, 51, will start shooting for the sequel of Hindi Medium soon and that he will be treated at a hospital in Mumbai. Of which, a source told IANS, "Irrfan is back in Mumbai. But people are publishing all sorts of stories without any confirmation. They are not true," adding that Hindi Medium 2 is definitely on the cards, "but not sure when the shooting will start." "I will get an update on his health and when will he be resuming work when I meet the actor soon," the source further told IANS. Irrfan Khan's 2017 film Hindi Medium, which also starred Pakistani actress Saba Qamar, released to much critical acclaim. Sharing an update on the sequel, Dinesh Vijan, the producer told IANS, "I will make an official announcement about the film in a fortnight." While Irrfan Khan was in London, he constantly shared health updates on Twitter. In an interview to Hindustan Times, he also opened up about his experience of undergoing chemotherapy sessions. In November, it was widely reported that Irrfan Khan may return to India with family just for Diwali but won't shoot for films though. On the work front, in addition to Hindi Medium 2, a biopic on Udham Singh, to be directed by Shoojit Sircar, is Irrfan Khan's pending project. His film with Deepika Padukone, to be directed by Vishal Bhardwaj, has been postponed indefinitely. Meanwhile, he opted out of Amazon's web series Gormint. Karwaan was his last Bollywood release, which hit the screens while he was in London.